The entire Canzoniere are 365 poems written by the early humanist Francesco Petrarca, centering around his love for Laura. My version only had sixty of the poems, because a lot of them are hard to translate into English without losing a lot of the form and syntax that makes them special. I’m not a big poetry reader. The amount of books with poems that I’ve read can easily be counted on one hand. 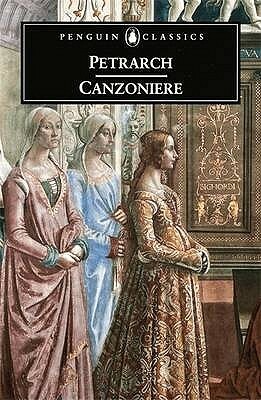 I think the Canzoniere were a bit too ambitious for me; at times I had no clue what Petrarca was talking about at all. I could still enjoy his imagery though, and for a guy that lived over 600 years ago his themes still feel very familiar. His love for Laura is static, but heartfelt. He’s a big fan of “cold flames” and “hot ice”, but I guess we have to cut him some slack about that. When this was written, these kind of oxymorons were still fresh in literature, and probably didn’t feel as contrived as they do to us now. I have of course no way of judging whether this translation by Anthony Mortimer is close to the original or not, but I enjoyed what he did with it. He managed to keep plenty of sentences rhyming without making everything rhyme, which would make the poems end up like children’s poems. There were plenty of beautiful sonnets that I liked. The Canzoniere was completely outside of my comfort zone, but I enjoyed the experience.